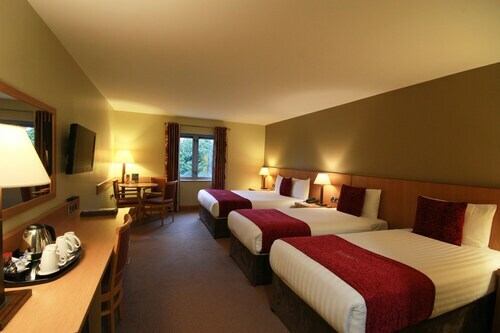 Situated in Enniskillen, this hotel is within 9 mi (15 km) of Castle Archdale Country Park, Lough Erne, and Springhill Golf and Country Club. Devenish Island and Enniskillen Castle are also within 12 mi (20 km). Situated in Enniskillen, this hotel is within a 15-minute walk of Buttermarket and Castle Coole. Enniskillen Castle is 0.8 mi (1.3 km) away. Located on the waterfront, this family-friendly hotel is within 6 mi (10 km) of Monea Castle, Buttermarket, and Enniskillen Castle. Castle Coole and Tully Castle are also within 9 mi (15 km). Located in the heart of Enniskillen, this guesthouse is within a 15-minute walk of Castle Coole and Buttermarket. Enniskillen Castle and Topped Mountain are also within 3 mi (5 km). How Much is a Hotel Room in Irvinestown? Hotels in Irvinestown start at $74 per night. Prices and availability subject to change. Additional terms may apply. Are you intending on traveling through Fermanagh and looking to book a hotel or apartment somewhere in or around Irvinestown? There are 3 lodgings on Travelocity within easy driving distance of the downtown area. 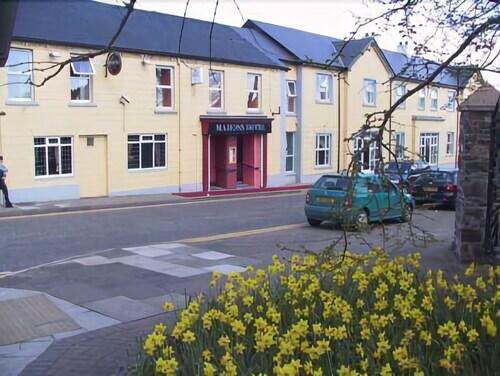 When you and your family would like to book accommodation just a short walk from the bustling heart of Irvinestown, check out the facilities at the easy-to-access Mahons Hotel. 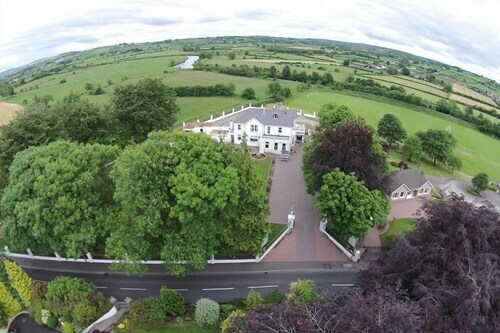 You could investigate the Lough Erne Resort along with the Carrybridge Lakeside Lodge. 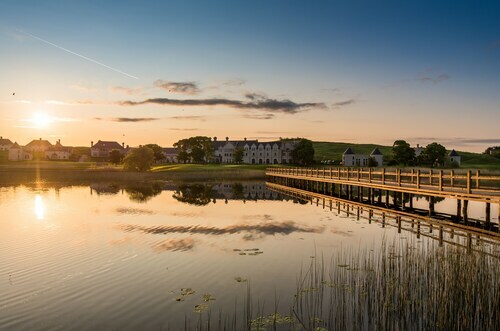 The Lough Erne Resort can be found 5 miles (8 kilometers) outside of the heart of Irvinestown. The Carrybridge Lakeside Lodge, is located 13 miles (21 kilometers) away. An alternative option is to make a booking at the Belmore Court & Motel or the Mahons Hotel. Before you and your traveling partner leave Fermanagh, why not make sure you enjoy enthusiastic locals watching a thrilling game. Make your way to Brandywell Stadium, found to the north of Irvinestown. Travelocity customers that enjoy the ease of booking a room close to the action, book a room in the The City Hotel Derry or Maldron Hotel Derry. Look up our excellent Irvinestown city page and unveil the numerous cultural attractions the city boasts. John met us at the front door of Ardgort Country House welcoming us in and showed us to our lovely room overlooking the pretty sheep meadow. The chef stayed a little late so we could have some soup which was delicious. The bedroom was very sweet with dainty flowered tile and sink, pretty curtains and very soft comfy bedding. The Carrick-a-rede bridge is a hidden gem must see just 1 hour and half north. John was a caring host and we are so thankful for our stay. Hotels near Corralea Activity Centre Ltd.